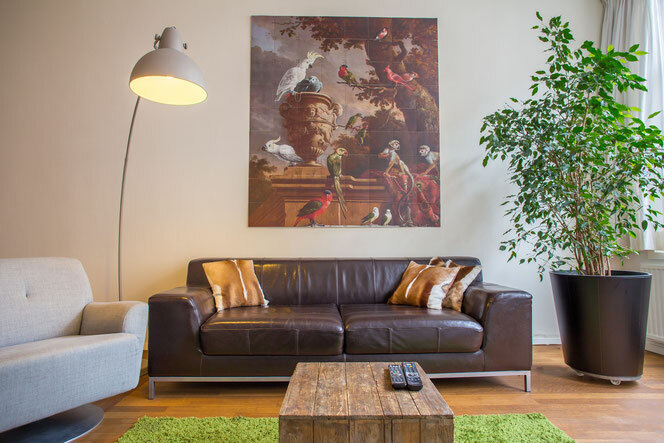 Fully renovated 100m2 studio dating back to the late 19th century in one of the oldest streets of The Hague. Ground floor apartment with private 42m2 garden. Studio has 2 person quality bed (Auping, 210cm), new fully equipped kitchen, Nespresso, shower, toilet, washing machine. Free high-speed internet (WiFi), TV (+ Netflix). Tram stop one-minute walk. Located 500 meters from the Grote Markt (restaurants, pubs, supermarket); 900 meters from the historic Binnenhof and Mauritshuis Museum. 4,5 km from the beach.